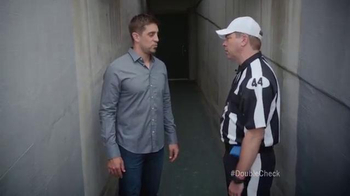 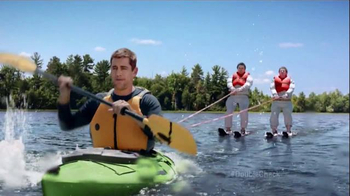 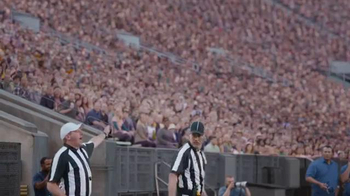 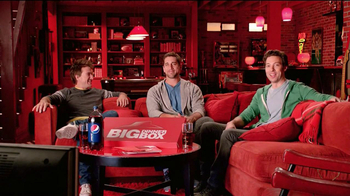 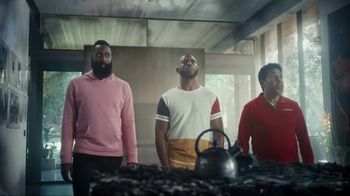 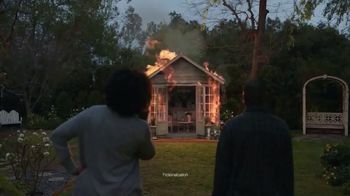 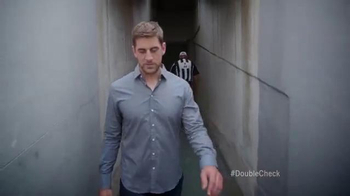 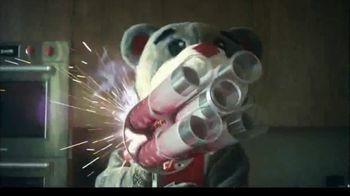 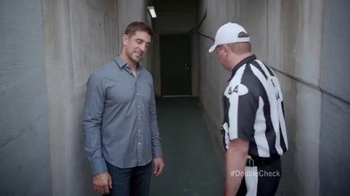 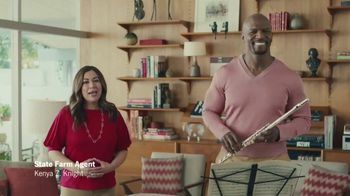 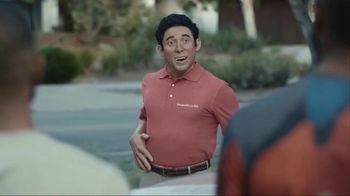 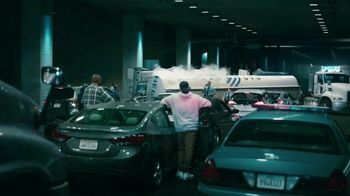 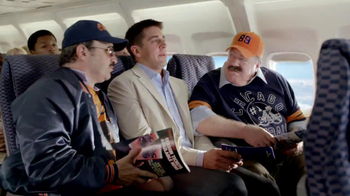 Green Bay Packers quarterback Aaron Rodgers stars in this State Farm commercial. 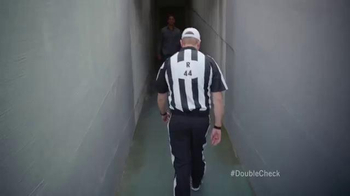 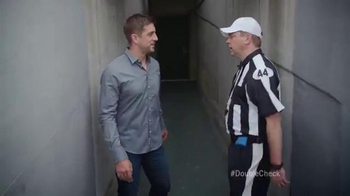 He runs into Doug the referee who regrettably states he wishes he had double checked before discussing that one player on the football field. 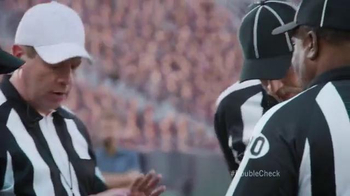 What follows is a flashback to this embarrassing moment where Doug huddles the other referees together and tells them they're going to act like they're debating; a couple of them are going to do the "bouncy football thing" while the third referee's going to rub his head like it's a tough call. 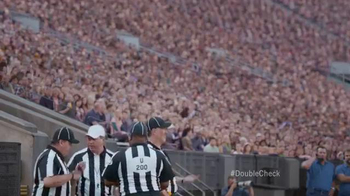 Suddenly, one of the guys in the audience yells that the mic is on -- Oops.